After finding a Hailu Mergia tape in a shop in Ethiopia, then Googling a phone number to get in touch, Brian Shimkovitz reissued the dreamy, hypnotic 1985 solo album, Hailu Mergia And His Classical Instrument back in 2013 on his label Awesome Tapes from Africa. With it, he introduced the snake charmer synths and psychedelic-kitsch accordion sounds of this legendary Ethiopian bandleader and jazz musician to a whole new young, hip audience. It was followed up by reissues of Mergia’s 1977 beautiful Ethio-jazz albums Tche Belew and last year’s Wede Harer Guzo, built on moody ancient scales and standards. Mergia, who was working as an airport taxi driver at the time, loved the out-of-the-blue comeback and the opportunity to tour the world, and now at 71, is keeping the momentum up with new writing. In February, Awesome Tapes released Lala Belu, Mergia’s first new album in over 15 years, recorded in London and mixed in Washington DC, near his home in Maryland. We caught up with him to talk about playing all night lock-ins during the Communist curfew in Ethiopia, calming his post-show euphoria down with beers and the best English translation for sounds you sing in the shower. Is this a day off for you, or will you be out driving the cab later? 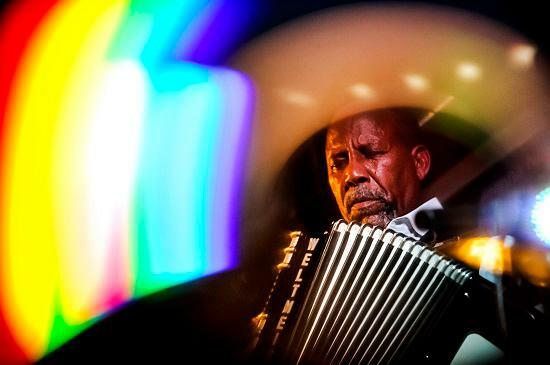 Hailu Mergia: I don’t know. Outside it’s rainy today, mixed with snow. Maybe I’ll stay home. [Laughs] I like driving a taxi because I can choose my own schedule. I’m a free person. I don’t have to ask anyone. I’m self-employed, a part-time taxi driver. Even when I’m working I keep a Yamaha keyboard in my car, in the trunk. I drop the person at their address, go back to the taxi stand, and while I’m waiting on my next trip, I grab my keyboard and sit on the back seat, practising. I get new ideas that way. I record them on my phone so I can go home and make notes; I don’t want to forget them. What’s your music set-up at home like? You’ve always got the Yamaha in the car, what else do you play on? HM: In my living room I’ve got an upright piano, downstairs in the basement there’s drums, an electric piano; a DX7 and a T3; an amplifier, an accordion, a melodica — this house looks like a mini music store. Ha! How much time would you say you spend practising on a normal day? HM: I’m never really away from my music. If I’m not working, the only time I don’t play is when I sleep, when I go to bed. Otherwise I play all day, I’m always on my piano. I only stop when I eat lunch or breakfast. I just want to do it. At the weekends I practise with my trio. If you don’t practise, you lose it. It keeps you in good condition. It’s kind of like a lifetime commitment. If you lose it, you don’t feel good. Even when I quit playing in public I always played at home. There’s a track on the new album that sounds very different to the other four albums on Awesome Tapes which have more funky synth riffs, or a kitschy, loungey jazz sound, sometimes you’ll hear quite mysterious, cosmic vibes in there too. The last track on Lala Belu stood out for that reason, it’s just a piano this time, with no accompaniment, and the noodly melody is much more wistful - sad even. Is it nostalgic? HM: Yes it’s nostalgic. Can I ask, did you like it? Yeah I did, it’s beautiful. I was wondering what that one was about, what does the title mean? HM: ‘Yefikir Engurguro’ means, singing about love. The singing you do when you’re in the shower. You know, the “la la la”, “da da da”, when you’re singing but with no words? I’m not sure how to translate that in English - humming? Burbling? Many people lose a loved one. They think of that person sometimes, maybe whenever they’re alone, or they feel blue. It can be about any kind of love really. Everybody has different kinds of love in their life. Friendship, your old life, love of your country... I wrote it several years ago and wanted to give a version of it with lyrics to my friend [the Ethiopian singer] Tilahun Gessesse. He passed away eight years ago before we were able to do that, so I have a memory of him whenever I hear it too. You mention a love of your country. Do you miss your old life in Ethiopia? HM: Of course. When I think I about it, I miss it very much. I grew up there. That’s my family, my first love, my first friendship... Growing up in the countryside with sheep and cows when I was ten years old, then playing music in the city. But I’ve lived here more than 30 years now — there is love in America too! Love in the past and in the present. You were very famous during the twenty-something years you played with the Walias Band, working with the Ethio-jazz vibraphone player Mulatu Astatke and becoming a household name. Do you get recognised much from those days over in the States? HM: I don’t blame young people if they don’t know who I am now! But sometimes I pick up a passenger from Ethiopia and they’ll see my photo or recognise the name and ask if I’m the same guy. I play them my CDs in the car to make sure. Usually they’ll say they remember the music from their childhood, their mother and father would have played it. What made you leave Ethiopia back in 1981 and move to America? HM: The city was not stable. You were always scared something was going to happen to you. I didn’t like the violence. My plan was to stay in America with my wife for five years and do courses. I studied English as a second language, music, a few things at the Alexandria Community College in Northern Virginia. But I couldn’t afford it, I needed to make a living. I dropped out. I formed the Zula Band and we played wedding functions and parties, and we toured Canada, Paris, Greece, Rome. We went back to play in Addis Ababa in 1990. The band was named after the Zula nightclub in Addis Ababa where the Walias Band first got together back in 1962. Back then I’d been hustling from one club to another at the time as a musician, then I met the saxophonist. We decided to play together because as solo musicians you could get fired all the time, you know, if the owner had a personal problem with you, or something like that. That’s why we started the band, to avoid being fired. It was a safer way to work. We used to play local clubs and then the Hilton Hotel for eight years, it was the top hotel in Addis Ababa at the time. We played during Haile Selassie’s time, when there was a strict Communist curfew and late-night lock-ins. We’d play for two types of crowd; the tourists and delegates between 7 and 10pm, then from 10 onwards, a second crowd of local guys, city guys. It was very hard playing from 7 til 5 but we were professional musicians, we didn’t complain, we had energy. HM: We played whatever people requested, otherwise we didn’t have business! [Laughs] Any kind though, Western music from America and Europe; funk, soul, blues . . . James Brown, Wilson Pickett, Marvin Gaye, The Beatles. Or music from Africa, like Fela Kuti. Popular songs. It had to be very fast for dancing. We did that for over twenty years then went to the USA for a three-year tour in 1981. Four of us stayed and four returned. I ran an Ethiopian restaurant for a while, and an African club with a DJ. I quit music for a while in 1991, but like I told you, even when I wasn’t playing in public, I was always practising. 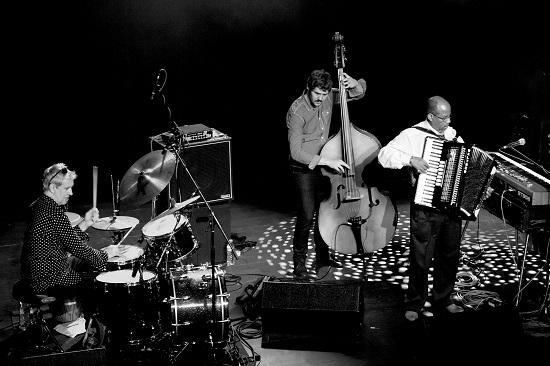 What do you remember about going back on tour again after Brian released Hailu Mergia And His Classical Instrument? HM: I will never forget it. My first show was in Germany. It was on November 28th, 2013. That night was very exciting. I was shifting from Ethiopian to Western, white crowds. Sorry for the word. HM: I had a question in my mind, if people would love my music or not? I was kind of nervous until I got the response. When I listened, the audience got really, I have no word to explain it... cheering... and happy! I was sweating a lot. My heart was beating like crazy. I was almost shaking but I didn’t show the crowd. At the hotel afterwards, I couldn’t sleep. To tell the truth, I was so happy, I have no words to explain it. I never drink onstage when I’m playing. I drank two beers after because I couldn’t sleep. I phoned my wife to tell her. She heard my voice and she said, “What happened? !” That’s the only time in my life I’ve had a surprise like that. So excited, I’m telling you, you have no idea. The biggest surprise of my entire life. How does it feel to be putting out the new album? Does it bother you that you’re playing to crowds who might not know anything about the first thirty or so years of your music? HM: As long as the crowds love the music, I don’t mind. Brian gets the comments from fans, they mostly like my stuff from the 70s I think. I’m more relaxed now. I love the crowd. I like what I’m doing, where I’m going. It’s about time I had some new music. Whatever happens, I’ll take it. It’s important for me to have a song that everyone can sing too, that’s what “Lala Belu” is. [The title track and one of three new songs he’s written; the other three tracks on the album are speeded up covers of traditional Ethiopian songs.] “Lala Belu” means “sing la la”, so any crowd can join in with no lyrics. As a musician that makes you happy, that gives you energy.